Netanyahu called on European nations to break relations with Iran. Israelis overwhelmingly favor US President Donald Trump over his predecessor Barack Obama, according to a poll released on Wednesday, and are lukewarm in their support for the immigration of American Jews to the Jewish state. The survey, conducted for Haaretz newspaper to coincide with US Independence Day, found that almost half of Israelis — 49 percent — strongly approved of Trump (and 23% slightly approved), while only 22% disapproved of the US president. However, when asked about Obama, only 19% of respondents strongly approved of him (while 30% slightly approved), compared to a substantial 46% who disapproved of the former American leader. Trump came to Israel last year in his first overseas trip as president and visited Jerusalem’s Western Wall, becoming the first American president to do so. In December, he recognized Jerusalem as Israel’s capital and in May the US embassy in Israel was moved from Tel Aviv to Jerusalem. In his views vis-à-vis the Palestinian Authority, Trump has been seen as more favorable to Israel than his predecessor. His approval ratings in Israel eclipsed his support at home, where he only enjoys a 41.8% approval rating, according to 538’s poll aggregator. According to the Haaretz poll, 44% of Israelis believed Trump’s peace plan would be pro-Israel, while only 7% thought it would be pro-Palestinian (31% thought it would be balanced). Among his other prominent roles in the public life of the Jewish state, Dore Gold has served as Israel’s ambassador to the United Nations and director general of the Israeli foreign ministry. In conversation with Eric Cohen, he discusses efforts to deny the Jewish historical connection to Jerusalem, 20th-century debates over the city’s fate, America’s decision to relocate its embassy, and the changing face of relations between Israel and some Arab states. Does 'Toy' sound like 'Seven Nation Army'? Universal Music Group has sent a letter to the writer and composer of “Toy,” Israel’s Eurovision- winning song, threatening a lawsuit over its similarities to a 2003 White Stripes track. The letter reportedly notes similarities between the rhythm and tempo of the songs, rather than the melodies or lyrics. “Seven Nation Army” is known as the rock duo’s signature song; it won best rock song at the Grammy Awards that year and has become an anthem for many sporting events. Medalie confirmed to The Jerusalem Post Tuesday that he had received such a letter. Universal declined to comment on the reports. When people are dying from war, we forget to think about the environment, and that’s totally understandable, but this is a topic we cannot ignore. Since 9/11, war has destroyed more than half the forests in Afghanistan’s three major provinces. The Gulf War increased air pollution in Baghdad by 705 percent. In 2009 the United Nations said that we urgently need a new set of international laws to protect the environment during war, but the problem has not been properly addressed yet, and the destruction is continuing. For example, last Friday I went down to the Gaza border and saw Palestinian protesters launching explosive kites and balloons into Israel. So far, they’ve burned over 7,000 acres of nature reserves, farmland, and forests. In just a month or two, a forest fire can release as much carbon emission as all the cars and trucks in an entire American state for whole year, and forest fires are usually only about 100 acres. 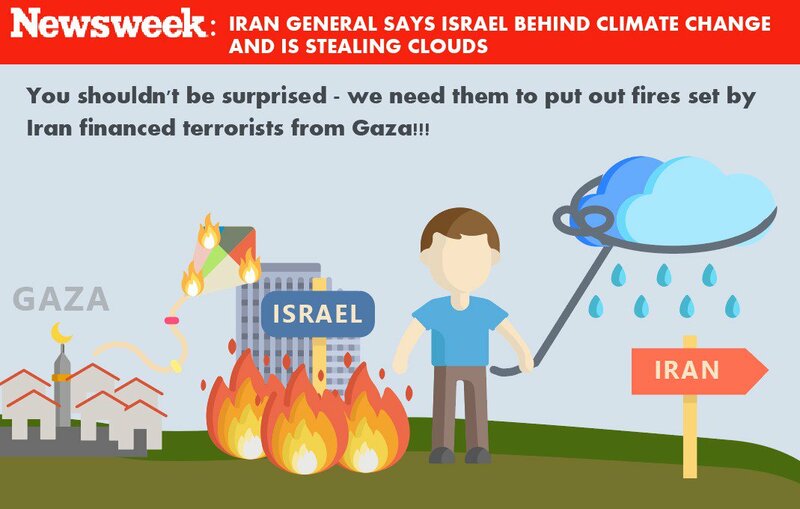 The fires in Israel have destroyed an area 70 times larger than that. Protesters are also burning thousands of tires, releasing poisons like dioxins, metals and carbon monoxide into the air and groundwater. This damage will affect the local ecosystem for years and affects both Israelis and Palestinians. Israel on Wednesday slammed an Irish bill that would outlaw the sale and import of settlement-produced goods, saying it was “immoral” and encourages terrorism. “The Embassy of Israel is concerned by bills that further the divisions between Israel and the Palestinians. Legislation, which promotes a boycott of any kind, should be rejected as it does nothing to achieve peace but rather empowers the Hamas terrorists as well as those Palestinians who refuse to come to the negotiating table,” Israel’s mission in Dublin said in a press release. After the Control of Economic Activities (Occupied Territories) Bill 2018 was frozen in late January, it is now scheduled to be voted on in the Irish Senate next Wednesday. The government in Dublin — known to be one of the most pro-Palestinian governments in Europe — is opposed to the law, arguing that it is not legally entitled to curtail trade with Israeli companies based in the settlements. Adalah is a name you may not recognise. They are an Israeli NGO and are responsible for one of the most important ‘scams’ of the delegitimisation campaign against Israel. Adalah created a database of laws that they claim ‘discriminate’ against the Arab citizens of Israel. There are currently sixty-six laws listed. Whenever you hear the claim that Israel is a ‘racist state’ or that it is an ‘Apartheid state’, it is the Adalah database that underpins the claim. The first point I want to make is that Adalah’s list has many related to security and the fight against terror. 21% of the laws fell into the ‘security’ category. As the report shows, most western nations have introduced numerous laws over the last decade that have cut back on some civil liberties. Israel has done the same, but these laws do not discriminate. Former cabinet minister Gonen Segev will no doubt feel some of the force of these laws as he stands accused of spying for Iran. So what does Adalah imply when they suggest a law that deals with interrogations is ‘discriminatory’ against the Arab citizens of Israel? That Arab citizens are all ‘terrorists’? That they are all violent? Isn’t it more likely that almost all Arab citizens of Israel are not impacted at all by these laws and only those extremists that come to the attention of the security services, Jew or Arab, will have their freedoms curtailed? If anyone suggested that Arab citizens of Israel are ‘enemy aliens’ or are all ‘terrorists’, they would rightly be labelled as racist. That is exactly what Adalah do when they suggest some of these security laws discriminate. The Adalah list is racist. Amnesty International Israel launched a new website on Wednesday calling for an end to discrimination against Arab Israelis, via a platform aimed at facilitating the reporting of cases of discrimination and taking part in various activities against it." The Israeli branch of the human rights organization established the website due to its perception that Arab Israelis, or "Palestinian citizens of Israel" as the organization refers to them, are undergoing a "severe attack" and need to operate in an organized and collective manner to fight for their rights as a minority in Israel. "The Israeli government severely violates the freedom of expression and freedom of association of Palestinian individuals and organizations in Israel,” Amnesty International said in a press release. “These are fundamental and important freedoms in every democratic state, and in Israel they are fundamental rights of special protection, and the violation of them is a serious violation of Israeli and international law, which necessarily leads to a reduction and threat to the existence of Palestinian civil society in Israel." The campaign is focused on stopping the "silencing of Palestinian activists and organizations in Israel" as well as incitement against them. With this view, the organization will gather testimonies and information on any incidents of this kind, and will monitor legislation and bills it deems discriminatory or as violating or restricting freedom of expression, freedom of association and freedom of demonstration. 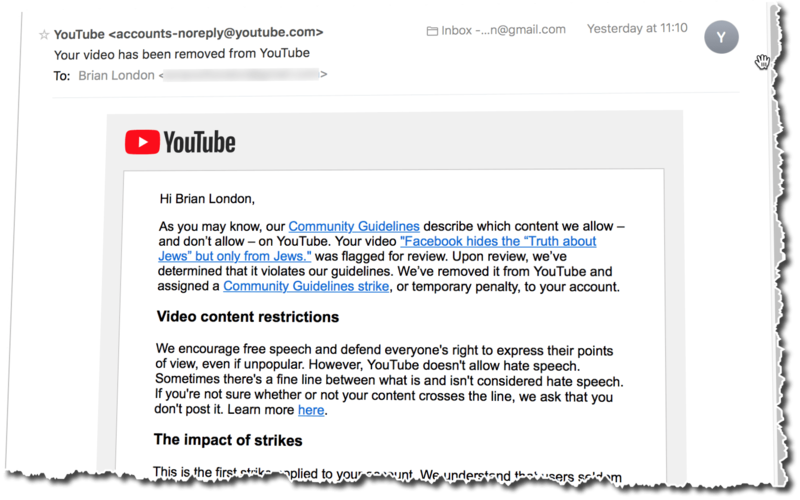 Amnesty seeks to stop such discriminatory actions using various tools, one of which will be its new Hebrew-Arabic website. The banner of human rights provides non-governmental organizations (NGOs) around the world with a halo of credibility and impartiality, enhancing their access to funding and to decision making processes. Unfortunately, many NGOs routinely exploit the rhetoric of universal human rights and international law to promote narrow ideological and political campaigns. By exploiting the language of human rights and by working together in a tight network, these groups are able to amplify their claims, garner undue exposure, and gain legitimacy for their radical ideologies. Their messages, which are in blatant defiance of their funders’ policies, resonate in a global context of rising populism and increasing extremism that rewards fearmongering, incitement, and misleading rhetoric. As our report shows in great detail, across the world, other Islamic Relief officials are tied to Muslim Brotherhood networks. In Sweden, for example, a recent government report concluded that Islamic Relief serves to provide “credibility” to the Muslim Brotherhood, and notes that Islamic Relief official Haytham Rahmeh is involved with providing weapons to Muslim Brotherhood fighters in Syria. Meanwhile, Swedish Islamic Relief official Abdallah Salah, is frequently pictured with Muslim Brotherhood insignia. Islamic Relief collaborates with and funds several Hamas fronts. Islamic Relief UK has given money, for example, to the Al-Falah Benevolent Society, a Hamas da’wah organisation run by Ramadan Tamboura, described by journalists as a “well-known Hamas figure.” Islamic Relief Worldwide, meanwhile, remains financially linked with other organisations connected to terror, including Qatari regime fronts such as the Qatar Charity. In 2014, the UAE’s decision to ban Islamic Relief was met with confusion and scepticism in the West. At the time, journalists (some, incidentally, since employed by Muslim Brotherhood media) attacked the UAE and deemed the designation “completely ludicrous and defamatory.” But as the Middle East Forum has discovered, the UAE understood what Western politicians have been unable to grasp – that a charity that has served for three decades as a key conduit for international aid efforts could also be the financial arm for an international movement dedicated to promoting extremism and instability, and to radicalising historically moderate Muslim communities. Islamic Relief is a vital cog in a dangerous machine. Its duplicity may have won over credulous media and politicians, but now governments in Europe and America must follow the UAE’s lead, and restrict the influence and reach of this international Islamist franchise and its hundreds of millions of dollars. As our report concludes: there are plenty of charities that do not promote extremism and subsidise terrorism; why should taxpayers all over the world fund one that does? The "great march of return" was nothing more than a massive temper tantrum by those middle children of the Arab world, the Palestinians. Its all about "visibility" and staying "in the spotlight". Anna and her overlords want to insure you don't get distracted by the myriad of domestic issues. Lets help Anna out. Zionists are nothing, if not helpful. 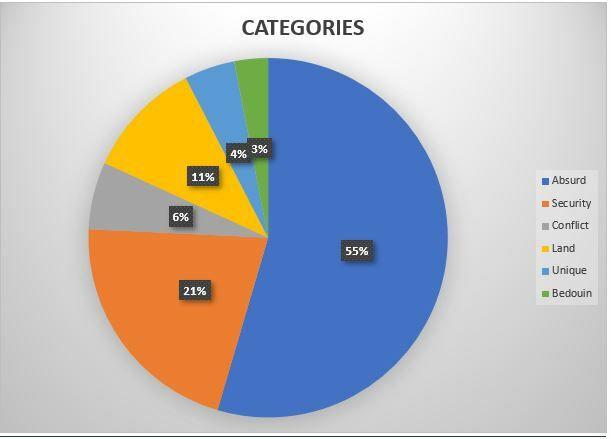 Over 80% of those killed in Gaza are identified members of terrorist groups. Lets show the world who her heroes really are. If you decide to "plaster these all over your cities and towns", send us photos and links, and we'll be sure to post them, to help Anna in her quest to keep Gaza in the spotlight. Now the anti-Israel NGO Code Pink, whose leader has just been banned from visiting the Jewish State, has embarked on a campaign to force Marley to cancel his Tel Aviv Concerts. Yesterday, we tweeted this in response to a cartoon by the Guardian’s Steve Bell depicting Prince William’s recent visit with Mahmoud Abbas. 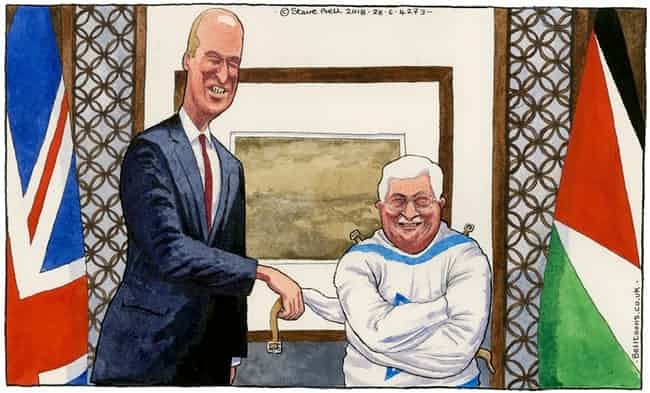 Though the ‘Israeli straitjacket around Abbas’ represents a motif we haven’t previously encountered, the idea that this imagery conveys, that Palestinians lack agency informs so much of what passes for enlightened opinion about the Israeli-Palestinian conflict in the British media. As former AP Jerusalem correspondent Matti Friedman wrote in his landmark 2014 expose on institutional media bias, “Palestinians are not taken seriously as agents of their own fate.” “The story mandates”, Friedman added, “that they exist as passive victims of the party that matters [Israel]. This mindset not only leads the media to ignore widespread Palestinian antisemitism, but, in its most extreme form, it can end up excusing acts of terror – the “but, what choice do they have?” line. However, even far less extreme variations of the ‘Palestinian powerlessness’ narrative ignore the fact that their leaders – even without statehood – have the power to make choices that can significantly impact their quality of life. - He could allow dissent in the PA, and stop arresting and beating protesters. - He could hold elections (He’s currently serving the 13th year of a 4 year term). - He could enact genuine economic and political reforms and begin to promote a culture of democracy. - He could put an end to the PA’s glorification of terror and culture of incitement, end pay for slay and support projects which promote co-existence – ‘peace from the ground up’ as it’s called. - He could stop placing roadblocks to Gaza’s rehabilitation. Pope Francis’ decision to move the World War II-era head of Poland’s Catholic Church a step closer to possible sainthood has hit a stumbling block, after two leading Jewish organizations and even Polish Catholic publications called him out for anti-Semitic views. It’s not clear if the protests will derail the sainthood cause of Cardinal August Hlond, but in the past the Vatican has taken such protests seriously and at the very least put the cases up for closer review. In May, Francis approved a decree recognizing Hlond’s “heroic virtues.” Now the Vatican must confirm a miracle attributed to Hlond’s intercession for him to be beatified, and a second one for him to be made a saint. Hlond, born July 5, 1881, was the highest-ranking church official in Poland from 1926 to his death in 1948. He is highly respected in this overwhelmingly Catholic country for having rejected Nazi Germany’s proposals for a collaborative government, and for protecting the church’s independence during the first years of communism. IBM once again pitted a computer against two human debaters — similar to a demonstration it held in San Francisco last month — but this time the show was held it IBM’s Givataim offices, in Israel, where the Israeli researchers who pulled off the so-called Project Debater feat proudly took ownership of the product in front of the local press. At the event on Tuesday, as in San Francisco last month, the computer, called Project Debater — a tall black pillar with three blue, flashing, round, eye-like lights at its front — and the humans, in this case two professional Israeli debaters, Yaar Bach and Hayah Goldlist-Eichler — sparred over two subjects. The first, held against Bach, debated the pros and cons of mass surveillance methods; the second, which the computer held against Goldlist-Eichler, was about the pros and cons of genetic engineering. The IBM team in Haifa has developed a “very special technology” that is “a significant milestone in the development of Artificial Intelligence technology,” said IBM’s Israel CEO and country manager Daniel Melka to an audience of journalists and IBM employees who worked on the project. Korean automaker Hyundai Motor announced Tuesday that it was partnering with Israel's Autotalks, a semiconductor company that develops vehicle-to-vehicle communications in autonomous cars so as to improve road safety. Founded in 2008, Autotalks is a privately held company with strong financial backing from leading global venture capital funds. The company is headquartered in Israel with offices in North America, Germany, France, Sweden, Japan and South Korea. Hyundai said it was forming a strategic partnership with Autotalks to accelerate the development of the next generation chipset for connected cars. The South Korean auto giant did not disclose the size of the investment but an Israeli industry source said it amounted to several million dollars.